Please Note: This post is contains a lot of photos! Please allow a minute for images to load. Thanks! I'm starting to catch up on my photos and have quite a few images to post from the summer. I can't believe it's already late into fall but I suppose that's how it always seems to go in life! 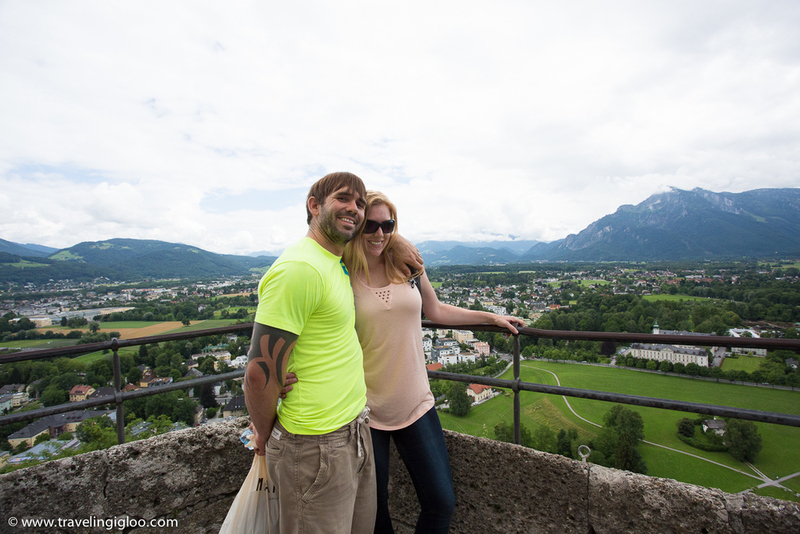 My husband's family visited earlier this summer and we decided to take a short day trip to Salzburg, Austria. 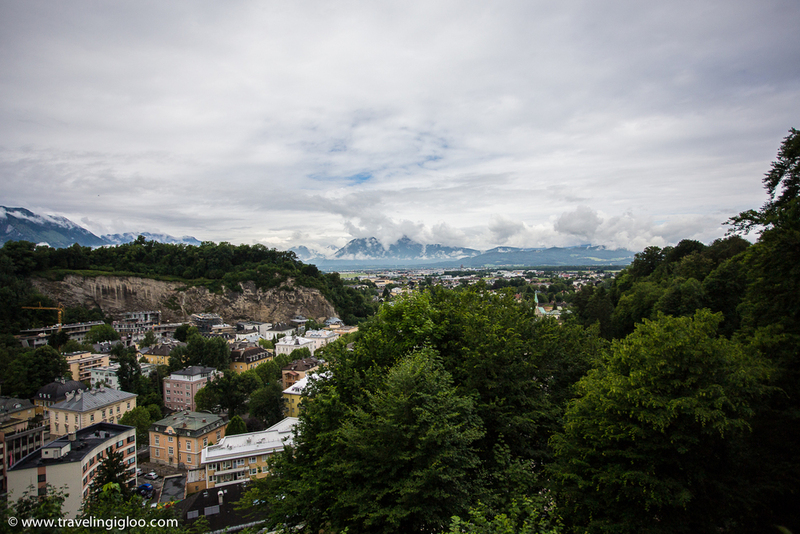 Salzburg is a beautiful city with a long pedestrian downtown area. Classical music takes the stage here as this is the birthplace of Mozart and his house can be easily seen from the pedestrian area. Live classical music is played at the castle overlooking the city and this is also where the Sound of Music was filmed. There are many tours that run daily to take you to these famous landmarks. 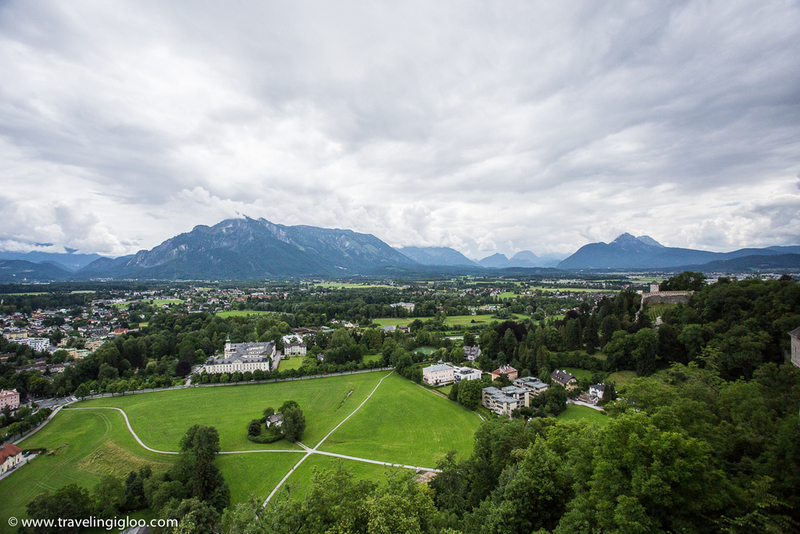 Even though Salzburg is rather touristy, I love visiting this city, walking around, heading up to the castle to capture panoramic views of the area below and beyond, and learning something new each time I'm here. Austria has to be one of the prettiest countries I've ever visited. Outside the city there are also many places to explore. Salt mines, caves, huge gorges with trails, over 70 beautiful lakes to see, and the huge Berchtesgaden mountain area where Hitler's Eagle Nest sits is also in close proximity. It's a great starting point to visit many historical sites but also to get outside and hike or explore some of the great natural surroundings. We drove 4 1/2 hours to get there from Stuttgart for a short two day trip. We found a place on airbnb.com at the last minute but luckily the place was really close to downtown and the sites. Since we brought Juno, our lab, we had to find a place with fields and trails nearby. The place we stayed at was next to a huge park that sat on a hill overlooking the city. It was so nice waking up and walking through the trails and getting some good photos. 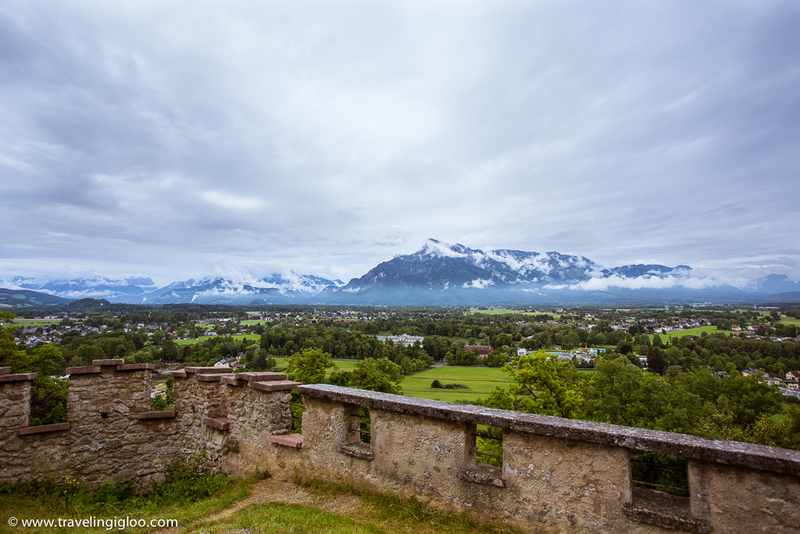 We came across some old castle ruins and also found a great view of the main castle that sits prominently overlooking the city below. At the entrance of the park there was a restaurant and biergarten, which we made sure to be a stopping point on our trip since the location was amazing and the views were nothing short of fantastic. Below are photos from the downtown area. You can see the castle from below and the main pedestrian street was busy with tourists. This beautiful church, the Dome of Salzburg or Salzburg Cathedral, is downtown and worth a look. Entry is free and it's really quite beautiful, as most European churches are. Please click on either image to see a full size version. We stopped into a schnapps/wine/beer place that was ornately decorated and could only fit about 5 people comfortably to have a drink. Austrians love schnapps and there is no shortage of it here! At the end of the day we headed up to the castle to check it out and take in the views. There are some cool things to see and a few biergartens at the top to grab some food and have a drink. We stayed until sunset which made for some nice photos. Now if only I would've had my tripod with me for the sunset shots! Here is the view of the castle before we started the walk up to it. There is a cable car that also can take you up but the fee is about 11 Euro and we didn't want to pay that. Well, I didn't want to pay for it, I think the others would've rather gone that route! If you buy the 'Fortess Card' it comes with the ride up the funicular and an audio guide tour of many rooms in the castle. Coming back down the sunset was so beautiful looking over the city. I've been here twice but would love to come back once more before we leave Europe. And of course no trip is complete without a dip in one of the fountains! All images were taken with my favorite camera body, the Canon 6D. I upgraded from the Canon 60D and it has been a game changer! Shooting in low light without a tripod is so easy to do now. I highly recommend this if you're looking to purchase a DSLR or upgrade!